In numerous previous articles, we wrote of the importance of replacing your enterprise’s legacy endpoint protection platform. We argued on behalf of next-gen endpoint security capabilities and their necessity for the modern digital perimeter. We stand by these arguments, now more than ever. Enterprise data breaches continue to become more prevalent and damaging. New digital threats continue to emerge. Hackers share their tactics and even their malware on the Deep Web, giving inexperienced threat actors an opportunity to attack enterprises. Your business needs a next-gen endpoint security solution. However, several questions nestle within this statement. 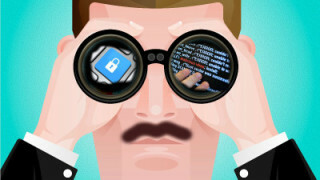 What should enterprises look for in their next-gen endpoint security capabilities? What constitutes a strong digital perimeter? Why can’t legacy antivirus solutions handle modern demands? 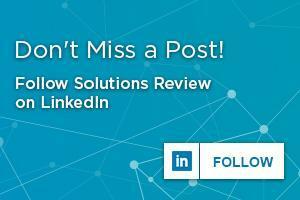 Why Do You Need Next-Gen Endpoint Security Capabilities? Obviously, legacy antivirus does possess a few key perks which enterprises favor. For one, legacy antivirus solutions offer an aura of familiarity; enterprise IT decision-makers recognize these solutions and feel comfortable using them. Their users prefer their interfaces over unfamiliar ones. As a result, decision-makers delude themselves into thinking their legacy solution ensures their safety. However, legacy antivirus relies on signature-based threat detection capabilities to prevent cyber attacks. While more modern legacy solutions may use signature-less detection, this provides little improvement. Hackers continually evolve their threats to bypass or evade these detection capabilities. Additionally, legacy solutions don’t have access to modern threat intelligence or regular update patches, leaving them especially vulnerable to zero-day attacks. Moreover, legacy antivirus solutions can’t handle the demands of modern enterprises’ IT environments. For one example, it can’t possibly protect the porous perimeter of the cloud. As another, legacy antivirus can’t process and protect the numerous endpoints connecting to the network in a bring-your-own-device culture. Only through next-gen endpoint security capabilities can you rest (relatively) assured of the strength of your digital perimeter. No one can summarize an entire branch of cybersecurity in 5 capabilities, no matter how critical. However, these 5 next-gen endpoint security capabilities should help guide your thoughts as you select a replacement for your legacy antivirus solution. As ironic as it may seem, you must consider next-gen antivirus among your next-gen endpoint security capabilities. You do still need some measure of antivirus protection to deflect attacks and deter inexperienced hackers. Without it, malware could still penetrate the network. Next-gen antivirus doesn’t just prevent against all types of modern cyber attacks, although it obviously does that as well. It can also enforce policies for disparate endpoint types, facilitate preventative policy creation, and collect threat intelligence from numerous sources. Next-gen antivirus provides the initial vital layer of the digital perimeter. The only mistake comes from assuming it as the only layer. Considered one of the key next-gen endpoint security capabilities by no less an authority than Gartner, EDR proves interesting. EDR acknowledges no digital perimeter, however strong, can repel all cyber attacks or digital threats. Detection and remediation rather than prevention must serve as the guiding principle in cybersecurity going forward. Therefore, EDR provides threat detection and remediation. It can discover the block threats in the pre-execution stage, investigate detected threats through analytics, and provide a centralized incident response interface. Additionally, it can draw from threat intelligence and send IT teams security alerts to potential threats. EDR works almost as a failsafe to the digital perimeter as well as serving as another layer to it. The inability to process ambiguities and grayware proves one of the major problems with legacy antivirus solutions. Many legitimate programs may look suspicious on first glance. Simultaneously, many viruses seem legitimate. Without some way to test these programs, your network perimeter remains vulnerable to disguised cyber attacks. Sandboxing aims to solve this problem. A “sandbox” serves as an isolated and secure digital environment which perfectly replicates your typical end-user operating system. Much like a normal OS, the sandbox can run codes and executable files. At the same time, its isolation and replicated nature prevent any changes to your true databases or servers. Therefore, sandboxing allows IT security teams to experiment with unknown files or codes in a secure environment. It allows them to observe these programs’ behaviors and determine their intentions before allowing them into the network proper. Thus as a layer of the digital perimeter, sandboxing can repel zero-day attacks and advanced persistent threats. The former would normally take advantage of a lack of threat intelligence. The latter relies on longer dwell times to steal enterprise assets or finances. What connects to your enterprise network? This is not an idle question, or at least it is not meant to be one. Instead, it should provide a wakeup call to one of the most pressing issues in modern endpoint security. As has often been stated, you cannot protect what you cannot see. In a bring-your-own-device culture or in an IT environment with IoT devices, hackers have plenty of attack vectors from which to choose. Without an endpoint security solution capable of detecting and protecting these devices, hackers could easily use them as a stepping stone into your network. After all, every attack begins at the endpoint, whether it serves as the true target or not. Among your next-gen endpoint security capabilities, you should emphasize tools which allow better visibility into your network. 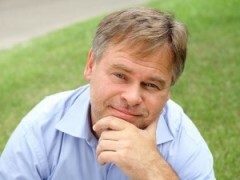 Moreover, it should offer adequate protection to IoT devices, which possess a notorious (but not unearned) cybersecurity reputation. A traditional firewall could monitor digital traffic coming into and leaving the network, tracking and blocking malicious or suspicious traffic and domains. Contrastly, a next-generation firewall actually examines messages of possible malware. They also monitor outgoing messages to ensure sensitive data does not leave the network without evaluation. Honeypots and other security deception technologies. If you still rely on legacy antivirus, you need an upgrade. 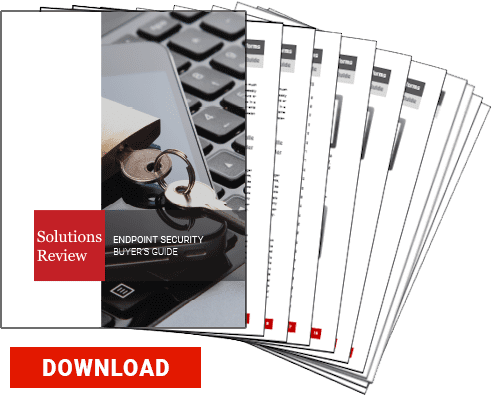 Check out our 2019 Endpoint Security Buyer’s Guide for more information. Previous Previous post: Ransomware, Cryptojacking, and Fileless Malware: Which is Most Threatening?